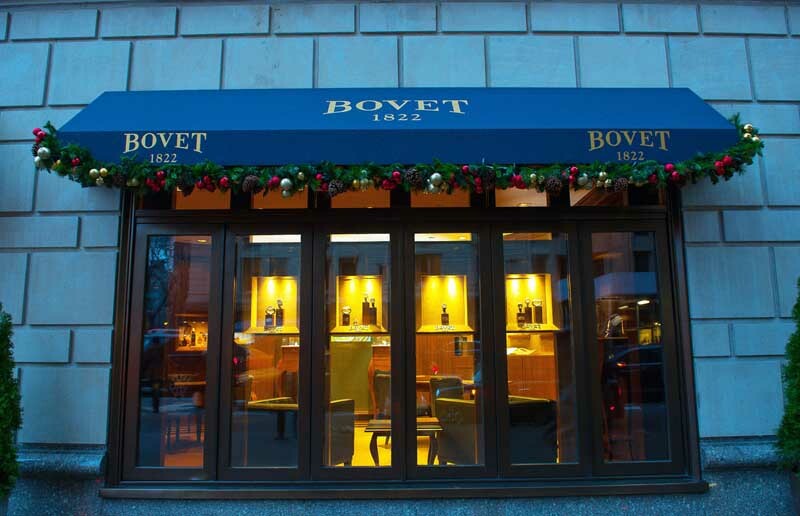 Exterior view of the BOVET 1822 Boutique at the Ritz Carlton, New York. NEW YORK, Dec 16, 2013/ — Known for its unparalleled level of technical and chronometric quality, Swiss timepiece manufacturer BOVET 1822 comes to New York with a new flagship store at 50 Central Park South, the 4th BOVET boutique in the world. BOVET 1822 timepieces, a favorite among the elite, are a product of more than 190 years of expertise in Haute Horology. The master artisans of BOVET 1822 are renowned for the exceptional finishes and decorations of each movement down to the tiniest detail, even if hidden from sight. BOVET 1822 collections consist of masterpieces manufactured in discretionary quantities in addition to numerous unique pieces crafted over the years. Now a new collection has been added at the US boutique featuring 50 timepieces unique to the New York address, engraved to commemorate the opening. These timepieces will not be sold anywhere else in the world, which had collectors eager to view the unveiling of the collection at the opening. The new BOVET 1822 flagship is located at the iconic Ritz-Carlton Hotel. It is steps away from 5th Avenue across from Central Park in the heart of midtown Manhattan. Owner of Bovet, Mr. Pascal Raffy and friend Paul Haggis, Oscar award winning film director and founder of the charity Artists for Peace and Justice, which BOVET 1822 strongly supports, celebrated with a ribbon cutting ceremony, accompanied by boutique partners Michael Rosenberg and Jeffrey Khalaf. From left to right, Michael Rosenberg, Oscar Award winning film director Paul Haggis, Mr. Pascal Raffy, Jeffrey Khalaf cut the ribbon at the Bovet boutique opening. The BOVET 1822 Boutique at the Ritz Carlton, New York.